This is my guide on the easy way to order and buy items from Amazon Japan, with US shipping. 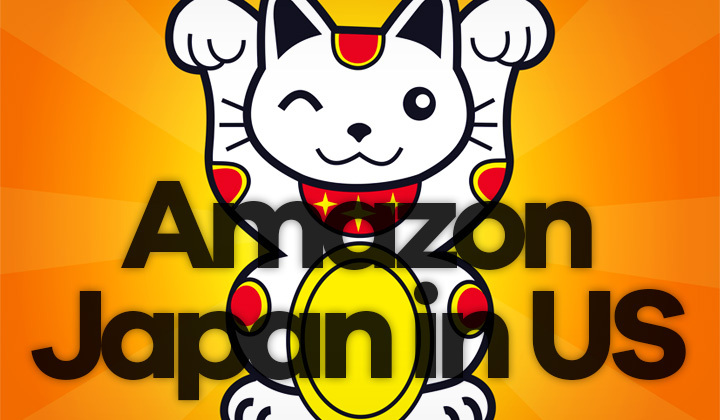 Yes, Amazon JP does deliver to the USA by using these tips. An 8% consumption tax is reduced for US customers! If you cannot order from Amazon.co.jp to the USA for some reason, or you are getting a message like, “this item cannot be shipped to the address you selected”. Amazon Japan already provides a “how to ship internationally guide“. Problems with your order? Click here to contact Amazon.co.jp — their customer support staff speak both English and Japanese. Amazon JP has their own Facebook page for international customers. Note on international return guidelines for outside of Japan. The “Amazon Global” feature does provide convenience for online shopping from Japan when in the USA or anywhere else outside of the country. But when looking for rarer, more specific items it’s recommended not to rely on it when looking for supported shipping in your shopping category. In “choose your location” and look for the “ship outside Japan” drop-down. Select “United States” from the list of countries. Now, browse and search for products as you would do normally. When entering the page of an item, it will display a warning “this item cannot be delivered to the address you selected” if shipping is not supported to the US. If it is supported, it should say, “this item ships to the United States”. To increase your chances of finding an item that supports shipping, you can select the “Amazon Prime” option when searching on your left. Products fulfilled by Amazon are more likely to support international shipping. Hope that helps your online shopping quest. Please, if you have any questions at all about buying items from Japan to the US, or about the Japanese version of Amazon.co.jp, leave me a comment! Very much thanks for reading and your visit, Tim. Please be notified of the likely possibility that there are affiliate links among the posts and pages of this website. This supports me, the blog and promotes content. TY. If possible and you benefited from this, please share on social media!